We would like to acknowledge that we live and work on the traditional lands of the Aboriginal people and their many custodians. We pay our respects to both present and past elders and the continuing custodians of these land. May we listen with great care to the heartbeat of Aboriginal lands and to its people who have cared for it so well and for so long. 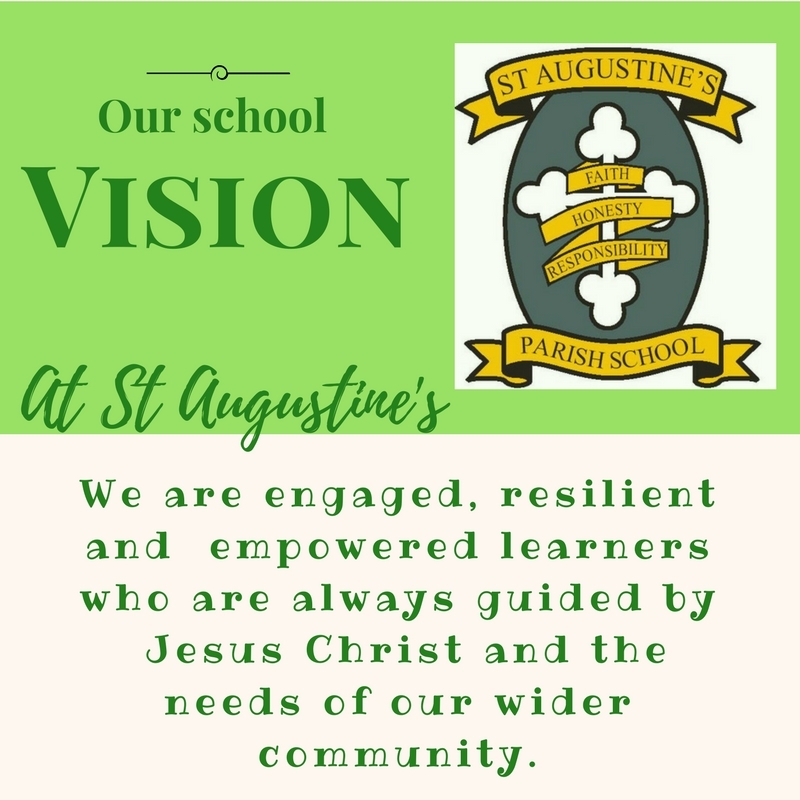 St Augustine’s Parish Primary School is a Catholic systemic co educational school located in Narromine. The School caters for students in Kindergarten to Year 6, and has a current enrolment of 146. 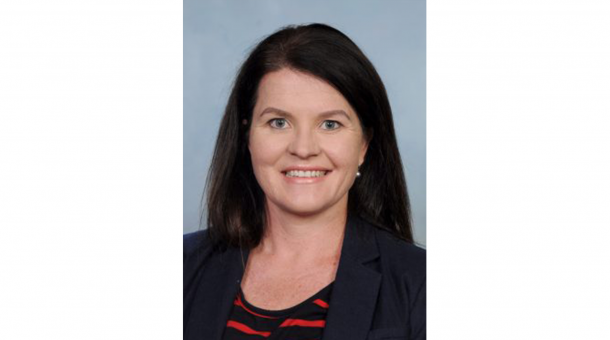 St Augustine’s Parish Primary School is a Catholic systemic co-educational school located in Narromine. The School caters for students in Kindergarten to Year 6, and has a current enrolment of 153. St Augustine’s was established by the Sisters of Mercy who arrived in Narromine in 1904. In November 1918 Rev Fr Brennan was appointed as Parish Priest. Two natural disasters in the past damaged the church and school in Narromine. The cyclone of 1932 and the floods of 1955 caused much damage and distress in the community. The 1970’s saw great changes in Narromine in terms of staffing (the advent of lay teachers), funding and renovations. The first lay Principal was Mr Ross Lindeman who was appointed in 1976. The Sisters of Mercy eventually left Narromine in 1997 and the Mercy convent opened as the new Centacare office in 2000. In 2001 new additions to the administration area were opened. The refurbishments included an upgrade of the library and administration areas, a new sick bay and a wet area. Major additions to the school including paving, new toilets, new library and classrooms have taken place between 2009 -2011 thanks to investments of capital from the Australian Government. In 2012 the school purchased a house next to the Infant’s Building in Third Avenue, in the year following the house was demolished and block was turfed to provide extra playground space for the school. The P & F funded play equipment which was completed in 2014. In 2015 a sun shelter was built over the play equipment. 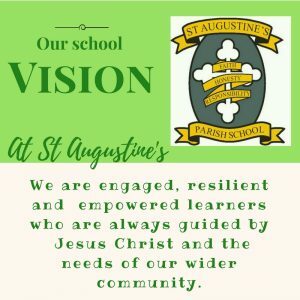 This significant improvement to the school was a combined effort by the School Committee and the P & F.
St Augustine’s continues to develop the Catholic tradition established by the Sisters of Mercy over one hundred years ago. Students are made aware of gospel values, taught to think of others, encouraged to pray together, expected to attend Mass and the sacraments, asked to give generously during specific activities such as Lent, missions and Masses for the poor and needy. In 2017 staff, students and parents worked together to reflect, create and implement a new school vision. Welcome to St Augustine’s Parish School. Our school has educated the children of Narromine since 1903. We believe it is our responsibility to create a learning community that supports each child to fulfil their dreams, hopes and goals for themselves and the world they live in. With this learning responsibility comes a passion for continuous learning for all our staff, students and parents. We look forward to working with our parents and parish within our professional learning community. All staff of St Augustine's will participate in Stronger Smarter Workplace Training for 2 days. This training will not be held at school. Please note Grandparents/Book Fair Day will be on Wednesday 10th of April. This is the last day of Term 1 for students.